Few things say more about what community really means than people taking action and helping others in need, especially when it involves children and families. And there's nothing I'd rather do to end the week than share this feel-good post with you. 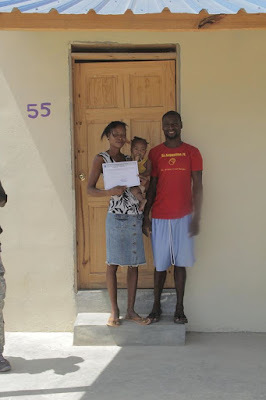 As of this week, Mission of Hope, Haiti (MOH) has just announced they've completed 459 permanent homes for families displaced from the 2005 earthquake. 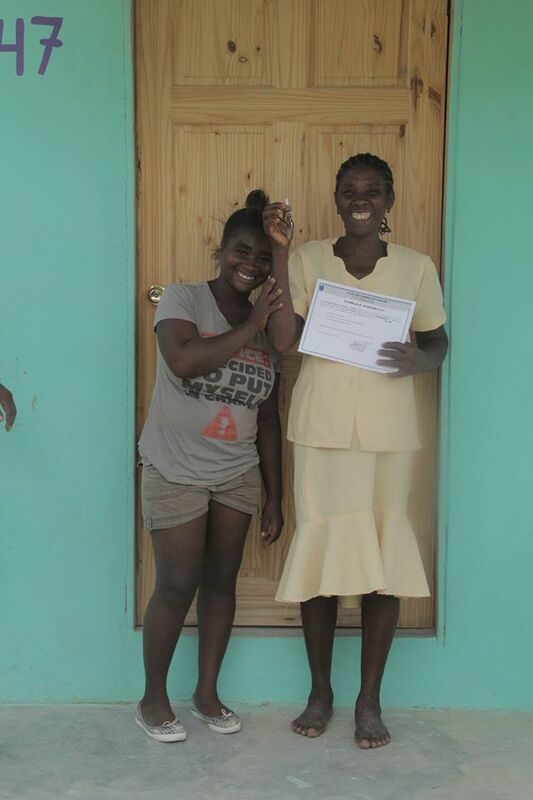 Six more families moved in yesterday, and ten additional families, 5 hearing and 5 deaf, will receive homes next week in the village of Leveque, about 30 minutes north of Port au Prince. Since the earthquake, MOH has partnered with donors to move those living in temporary blue tents in Leveque into permanent homes. The Leveque Community has emerged as one of the most impressive and successful resettlement communities in all of Haiti, with over 150 hearing-impaired families integrated within the community as well. The cost of each home built through MOH is $6,000, and includes 3 rooms, a small plot of land for farming, a detached bathroom, 2 fruit trees, and access to education, a church, water, and training in agriculture. When houses are completed, MOH holds a ceremony for families to celebrate the ownership of their new homes. “Our vision from the first home built has been to provide those who lost their homes with a quality, cost efficient Haitian home that will not only provide a place to live but a place to thrive,” says MOH President Brad Johnson. Mission of Hope is working to raise funds to build roughly 200 more homes for waiting families. 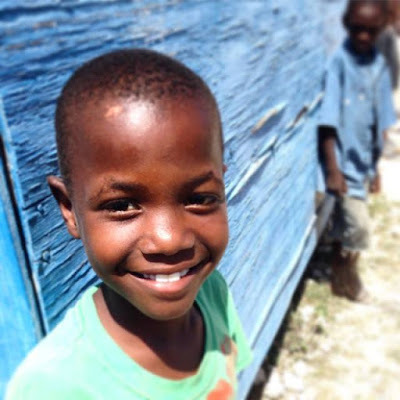 Mission of Hope feeds over 90,000 children per day in partnership with Convoy of Hope and Feed My Starving Children, educates over 5,000 students on 13 campuses, and sees over 28,000 people per year in its onsite and mobile clinics that go into 17 villages. More than 90% of MOH’s staff is Haitian, and 97% of resources raised go directly to its programs in Haiti. For more information visit the official website as well as follow this non-profit Christian organization on Twitter, Facebook and Instagram. FTC Disclosure: No payment or other compensation was received in connection with this post and opinions here are my own. See complete FTC Disclosure information that appears at the bottom of MommyBlogExpert's home page and at the bottom of every individual post on this blog, including this one.